New Trade Deal for Scholastic Book Club Bestsellers! If you're familiar with the Scholastic Book Clubs catalogues, then you've got a jump on the rest of us: You may have already gotten your hands on a copy of Suzanne Nelson's delicious trio of books: CAKE POP CRUSH, MACARONS AT MIDNIGHT, and HOT COCOA HOLIDAY. As you might imagine from the titles, these books are full of delicious treats, swoon-worthy moments, and enough romantic hijinks to keep a reader flipping the pages quick-as-you-please. These books were first published as Scholastic Book Club originals, but after their wild success with readers, Scholastic has decided to give them a whole new life—in trade! 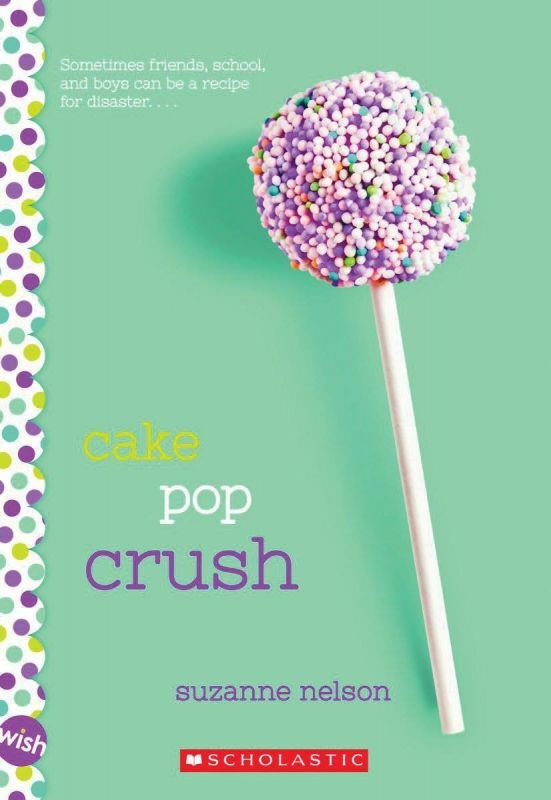 CAKE POP CRUSH is newly out (not repped by EMLA), and today I'm delighted to announce that later this year, Suzanne Nelson's MACARONS AT MIDNIGHT and HOT COCOA KISS will be joining those titles on bookshelves everywhere, helmed by Scholastic editor Aimee Friedman. Hooray for Suzanne, and happy reading (and eating), all! Now Susan has signed up a third middle-grade mystery, again with Sylvie Frank at S&S's Paula Wiseman Books. 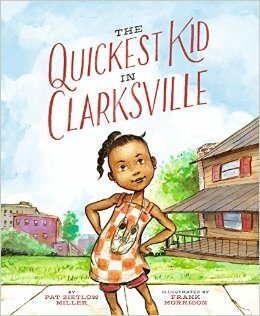 SUPER MAX AND THE MYSTERY OF THORNWOOD'S REVENGE is an entirely contemporary story with a heroine named Max who likes to imagine herself as a superhero (and loves comics), is always finding new ways to soup up her wheelchair, and who is being raised by her grandfather, the police chief in their small town, which gives her a front seat in the small Southern town's goings-on. An old curse, rumors of ghosts, and an unknown perpetrator framing her grandfather via social media all come together in a story that is a cozy mystery and very modern-day, all at once. It's a good thing THINGS TOO HUGE is scheduled to release this fall, because fall 2017 sounds far too long to wait for a Susan Vaught mystery to read! Exciting new YA book deal for Ibi Zoboi! The talented and prolific Ibi Zoboi has been rapidly making a name for herself with a variety of excellent essay and article publications, and with her two middle-grade books with Dutton still on the way. Today I'm thrilled to announce another new direction for Ibi: AMERICAN STREET is a coming-of-age story about a Haitian immigrant thrust into the world of Detroit's west side, as she tries to get her mother out of a US detention facility and find her footing in this new world, against an increasingly insurmountable set of obstacles. The book was preempted by Alessandra Balzer at Balzer + Bray and will be coming out in winter 2017. This thrilling story is infused with personal experiences of Ibi's own, and was developed in conjunction with an editorial team at Alloy—all of which has made for one breathtaking YA novel that you won't want to miss. We have two EMLA authors celebrating releases today! K.A. Holt's RED MOON RISING and Suzanne Nelson's CAKE POP CRUSH are both available today! Please join us in congratulating them and welcoming these books into the world! 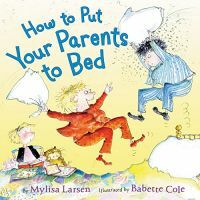 Wonderful new picture book for Megan Wagner Lloyd! 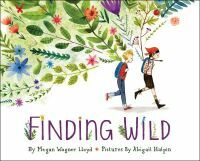 Are you getting excited for the release of Megan Wagner Lloyd's debut picture book? The breathtaking FINDING WILD will be hitting shelves on May 10th, and I for one cannot wait. Trust me, this book needs to be on your radar! But I'm not here today to gush talk about FINDING WILD. No, today I'm here to introduce you to a brand new, but equally wonderful all-new­ picture book from Megan. It all begins with two mice. Mice? Mice. But not just any old mice . . . these mice are cut out of paper. With a snip and a clip, the two creatures run free through the dark house one night, in search of adventure. This gorgeous, gentle friendship tale is one that's sure to be a classic—and I'm thrilled to say that it has been acquired for publication by Sylvie Frank at Paula Wiseman Books! Not only that, but an illustrator has been tapped for this project: the fabulous Phoebe Wahl. Pub date for PAPER MICE has been set for spring 2018, so mark your calendars and keep a lookout for it. Congratulations, Megan! A Brand-New Deal for Sarvinder Naberhaus! There are some books that warm your heart just as soon as you read them; where you can immediately see those images in your mind's eye; where you know you're being treated to something special. Well, I have something very special to announce today: a brand-new deal for a most wonderful of texts—Sarvinder Naberhaus's LINES. This deceptively simple story starts out with a line, which makes a shape, which makes a town, and which all gradually comes together in a joyous celebration of our own great world—and beyond! Targeting the youngest of readers, this is a story that has a readership far beyond that, and which I believe is going to be around a long, long time. So it's with exceptional joy that I share the news of LINES's acquisition: Hannah Lambert at Little Simon has fallen hard for this story, and it is headed toward a Fall 2017 pub date. Be on the lookout for this wonderful book soon to come! ASCENDING THE BONEYARD hits shelves today! We are so thrilled to be celebrating the release of C.G. Watson's ASCENDING THE BONEYARD today! Readers can now get their hands on this incredible story - huge congratulations, Carrie! Make sure you don't miss out on a quick peek at what's under this stunning cover - there's an excerpt available on Barnes & Noble! Poetic New Picture Book for Maria Gianferrari! That Maria Gianferrari sure has a way with words! We got to know her in her debut picture book, PENNY & JELLY: THE SCHOOL SHOW, which came out this summer. And we're beside ourselves awaiting her gorgeous non-fiction books COYOTE MOON (being illustrated by Bagram Ibatoulline) and HIGHWAY HAWKS (being illustrated by Brian Floca), both forthcoming from Roaring Brook Press. Now, returning to her first love of non-fiction, I'm thrilled to introduce a brand new picture book on the horizon for Maria. This one is called WHOOO-KU, and is the gorgeously written story of a day in the life of a great horned owl.—But there's a twist. Can you guess? The text is written entirely in haiku! Mixing poetry and nature, what could be better? This stellar text sold at auction, and I'm delighted to announce that it was acquired by Arianne Lewin at Putnam! Keep an eye out for this wonderful story in the years to come—it's one you won't want to miss. Congratulations, Maria! Carol Brendler is Celebrating the PICKWICKS' PICNIC! In my opinion, some of the very best picture books are the ones that pay attention to language—which not only tell a great story but are also a ton of fun to read aloud. Well, when it comes to a Carol Brendler picture book, linguistic excellence is ALWAYS a given . . . and never more so than in her latest. Carol's brand new picture book, THE PICKWICKS' PICNIC, is an epic, traffic-heavy comedy of errors, featuring a couple of kids and their parents who are just trying to get out of town for a picnic—but as the blockage at the bridge builds up, the kids are going to have to come up with their own solution. I am delighted to say that editor extraordinaire Anne Hoppe, of Clarion Books, fell just as hard for this text as I did, and quickly snapped it up. The talented Renee Kurilla has been tapped to illustrate, and the whole package is scheduled to show up on your very bookshelf in fall 2017. Hooray and huge congrats, Carol! Zack Clark and Nick Eliopulos Want You to Join THE ADVENTURERS GUILD! And what IS The Adventurers Guild, you might ask? I'm so glad you asked. THE ADVENTURERS GUILD is a dynamite new series, created by two debut authors, and real-life best friends—our own Zack Clark, and his co-author, Nick Eliopulos (represented by Josh Adams of Adams Literary). The first book in this series, THE SEA OF STARS, introduces a broken world of monsters, dwarves, and elves. It tells the story of two friends are drafted into the perilous Adventurers Guild, only to discover a conspiracy that threatens to destroy the foundations of their city. THE SEA OF STARS went on submission at the beginning of the year, and the response was swift and thrilling! The book ended up going to a heated auction, where it was finally acquired in a three-book deal by Kieran Viola at Disney-Hyperion. We're so excited to have found the perfect home for this book—and you can look for it on shelves everywhere in Fall 2017. Huge congrats to Zack and Nick! Exciting new releases from EMLA! We're celebrating so many new releases! 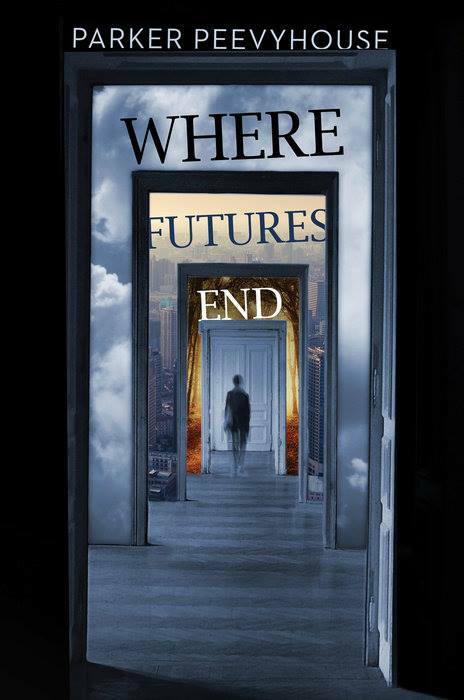 Mylisa Larsen's HOW TO PUT YOUR PARENTS TO BED, Pat Zietlow Miller's THE QUICKEST KID IN CLARKSVILLE, and Parker Peevyhouse's WHERE FUTURES END are all out in the world! 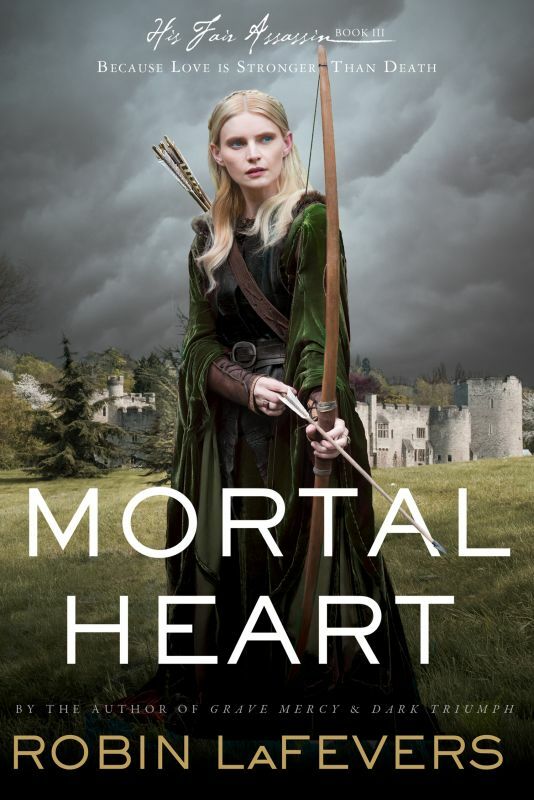 And - if you haven't yet gotten your hands on Robin LaFever's MORTAL HEART yet, it's out in paperback now! Congratulations to everyone - we're so glad readers can get their hands on your books!